Mummy Of 3 Diaries: Food or Drink Gifts for Christmas? Check out my #ChristmasGiftGuide for ideas. Food or Drink Gifts for Christmas? Check out my #ChristmasGiftGuide for ideas. If you have a family like mine then food and drink gifts will always be the perfect solution when it comes to buying Christmas gifts for those people who have everything. I've put together a few ideas of what you 'could' buy your loved ones this Christmas. 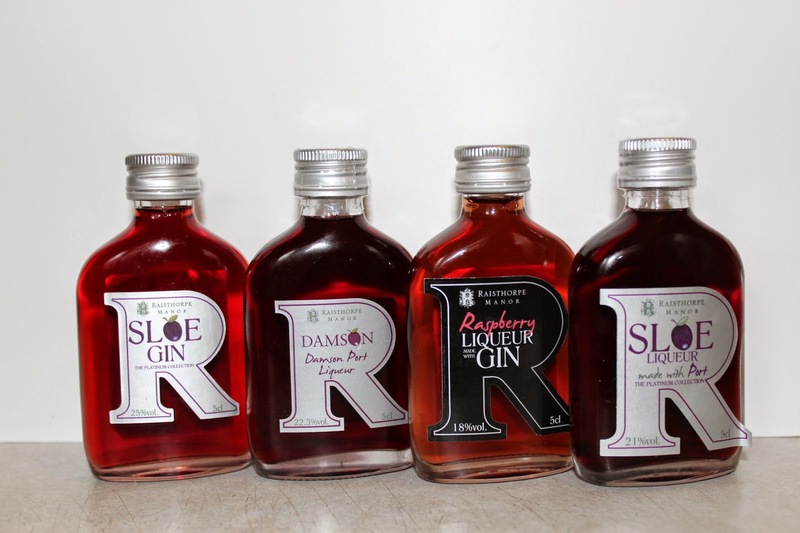 Raisthorpe Manor is an award winning beverage producer based in Yorkshire, which combines the finest, locally sourced fruits and ingredients to create their distinct range of gins and liqueurs. They've produced a fantastic range of jams and preserves, which come with their own authentic taste of nature, as well as a cheeky little kick. Gift sets, chocolates and luxuriously packaged hampers are also available for any foodie fanatics. Christmas gifts from Fudge Kitchen for him, for her, for stockings, for foodies, for kids … for everyone. Hand made, gourmet, seasonal fudge from £2.50 stocking fillers to £40.00 hampers. The 12 Flavours of Christmas box (shown above) is a limited edition box for Christmas 2014. 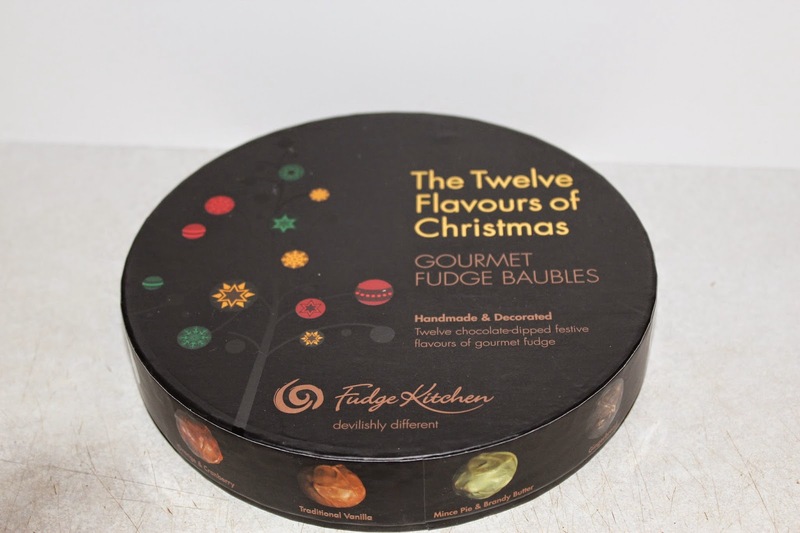 This is twelve gorgeously gift boxed, chocolate covered, hand rolled and hand decorated fudge baubles in festive flavours, including Christmas Pudding, Cranberry & Orange, Mince Pie, Continental Gingerbread, Irish Cream and Cherry Brandy. The perfect gift for the Christmas dinner host. Weight 150g, RRP: £14.90 (plus P&P). Licor 43 is a premium Spanish liqueur with hints of caramel and vanilla which tastes delicious served in coffee or maybe in a cocktail. 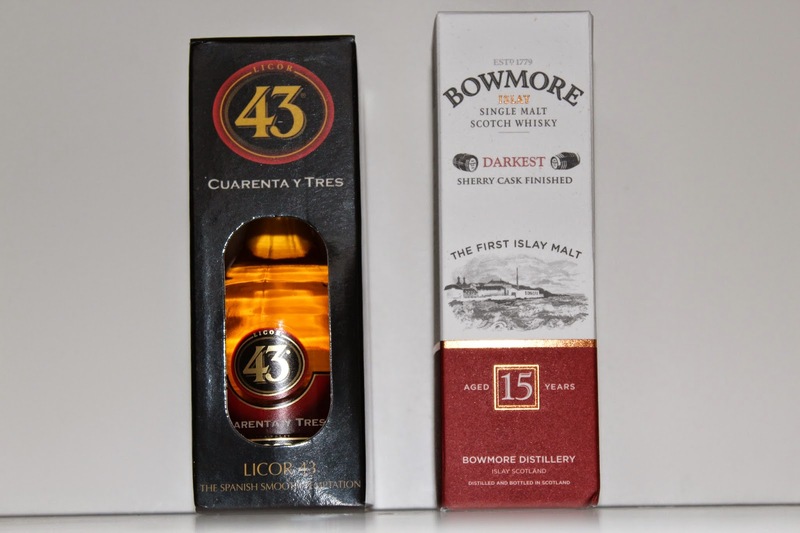 Licor 43 is an unusual liquor made up of 43 secret ingredients which gives it that unbeatable quality and taste. Bowmore is a renowned whisky distillery, producing luxury Single Malt Scotches for over 200 years. Whisky is an ideal gift for guys (or women too) of all ages, especially as the variety of whisky they produce offers a varied price and flavour range making it suitable for everyone from casual whisky lovers to whisky connoisseurs. I loved all of these gift ideas, so much so that I decided to use all of them to make my own unique little hamper which would make the perfect gift for someone like my Dad. I used an empty wicker hamper basket and filled it with all of the goodies shown above to make this very unique present for my Dad this Christmas, lets hope he's not reading this. Sometimes simple food and drink gifts can be perfect for fussy family members of even far away friends. Nothing says I Love You like a box of luxury chocolates and an alcoholic treat. I will be putting together lots of little gift guides over the next few weeks to give ideas and hopefully help some of you with your Christmas Gift ideas struggle. 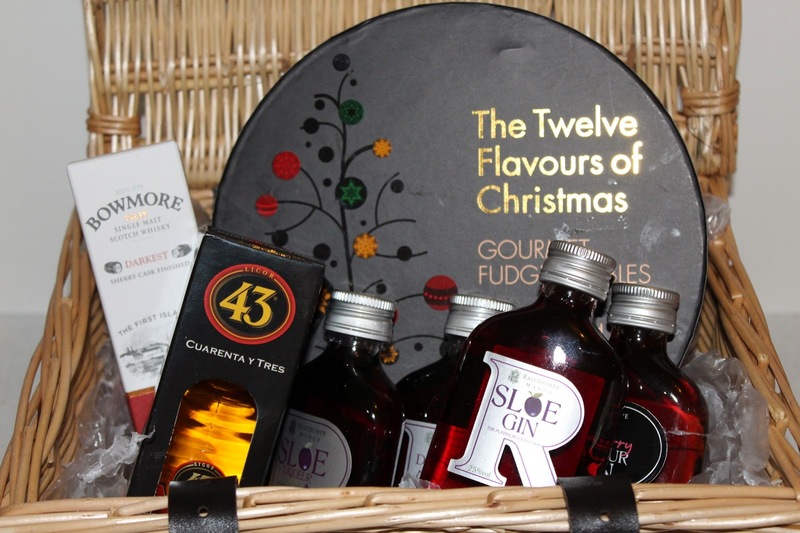 Today's gift guide included: Raisthorpe Manor, The Fudge Kitchen, Licor 43 and Bowmore. Watch this space for some more brand introductions real soon. Disclosure: I was sent samples to help produce this gift guide for you.